l-to-r: Chris Hickey, Francie McFaul, Eamon Connor, Sean Corr. 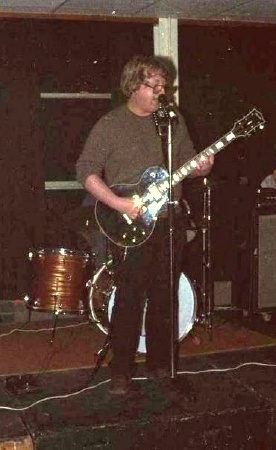 late 1980 or early 1981. My thanks to Sean Corr and Francie McFaul for their help. The Captions were a power pop band who played around the triangle area of Coleraine, Portstewart and Portrush between 1980 to 1982. They were contempories of The Xdreamysts, Perfect Crime and Know Authority among others. 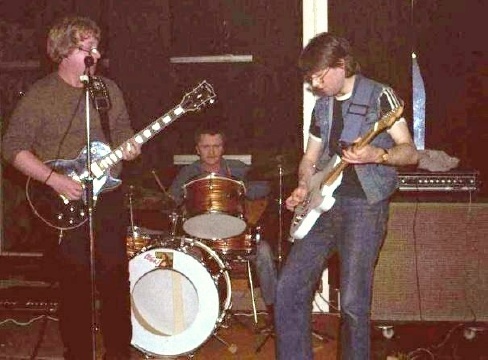 The Captions began life as a punk band called Miracle Cure (1979-80) which included Eamon, Chris and Sean along with Louie Coulter (vocals/rhythm guitar). When Louie left, the others took the opportunity to change their name as their sound was evolving but also because Robert Smith's band The Cure was gaining prominence by that time. Louie's replacement was Francie McFaul who became the band's chief songwriter though Sean Corr contributed several songs to their set. Though the band concentrated on original material, on rare occasions they included a cover in their live set, usually Bowie ("Jean Genie", "Diamond Dogs", "All The Young Dudes") or a non-stop Rock & Roll set they called "Tyrannicide" which could last up to 30-minutes. They were prolific songwriters and recorded two demo tapes. Their first was recorded in 1981 on a (Tascam?) 4 track recorder. The 5 songs are basically power pop. Terri Hooley liked the tape and encouraged the band to persevere but he wasn't looking to sign any new bands at that time as he'd just been abandoned by The Undertones and the Good Vibrations label was in one of it's periodic periods of limbo. Unfortunately Dave Fanning or his producer didn't consider the tape to be broadcast quality and declined playing it on his radio show. Hot Press gave the demo a complimentary review, describing the band as "abrasive guitar pop with a garage edge". 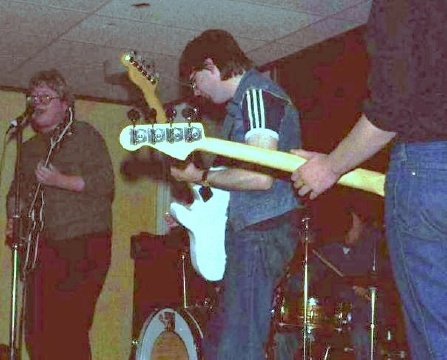 The second 4-song demo was in fact recorded during a gig at Spus of Portstewart. It was described by Chris as "a cacophany of sound". 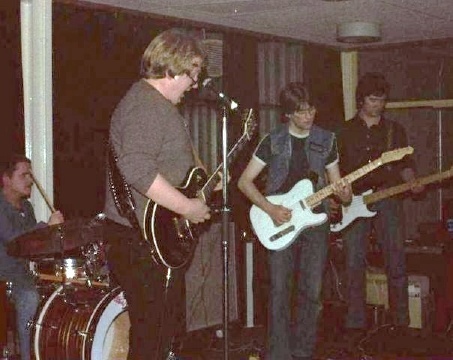 The band split in 1982. The band members all emigrated. Sean Corr now lives in New Zealand, Francie McFaul in Scotland, Eamon Connor in the USA and Chris Hickey in England. Francie McFaul continued to write songs and record demos after the band split. He is now better known as Gospel singer David Isaac who recorded 8 albums, toured Europe and America, and appeared many times on TV over a 10 year period. He currently teaches guitar and plays in his local church band, and is still writing songs. Thanks to Sean Corr for his help with this page.